The thirst is real. A woman from Charlotte, NC has slapped rapper 2 Chainz with a lawsuit after he posted a derogatory video online that, according to her, severely damaged her reputation and caused her to lose her job. Christine Chisholm says she was invited to a 2 Chainz show at the Fillmore Theater in Charlotte on March 12, 2014 by rapper Cap 1 aka RoZay Richie (he's also named as a defendant in the suit). After the show, she says she was admitted backstage, where 2 Chainz (whose real name is Tauheed Epps) recorded a video of her. In the video (below), he's heard referring to Christine as a "thot" and she gave out her Instagram screen name in the hopes of amassing followers. 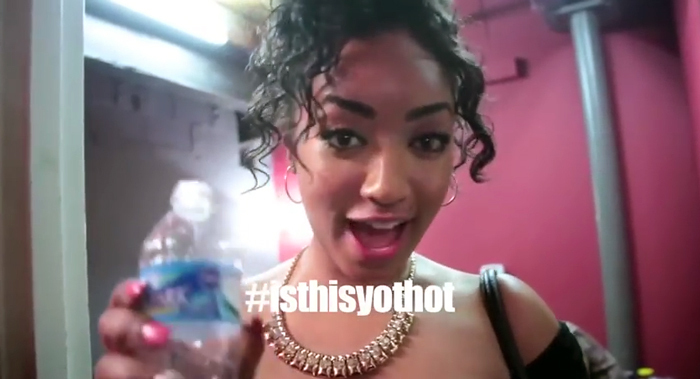 Sometime later, 2 Chainz posted the video online with the hashtag "#IsThisYoThot." Suffice it to say, the video went viral and has been viewed more than 10 million times. In her complaint, Christine claims she has been the harassed online and was fired from her job at a local barbershop because the shop's owner was concerned about the negative publicity the video was bringing to the establishment. Subsequently, Christine says she "suffered and continues to suffer damages, including embarrassment public ridicule, inability to find employment and mental anguish." She is seeking actual and punitive damages in excess of $5 million.